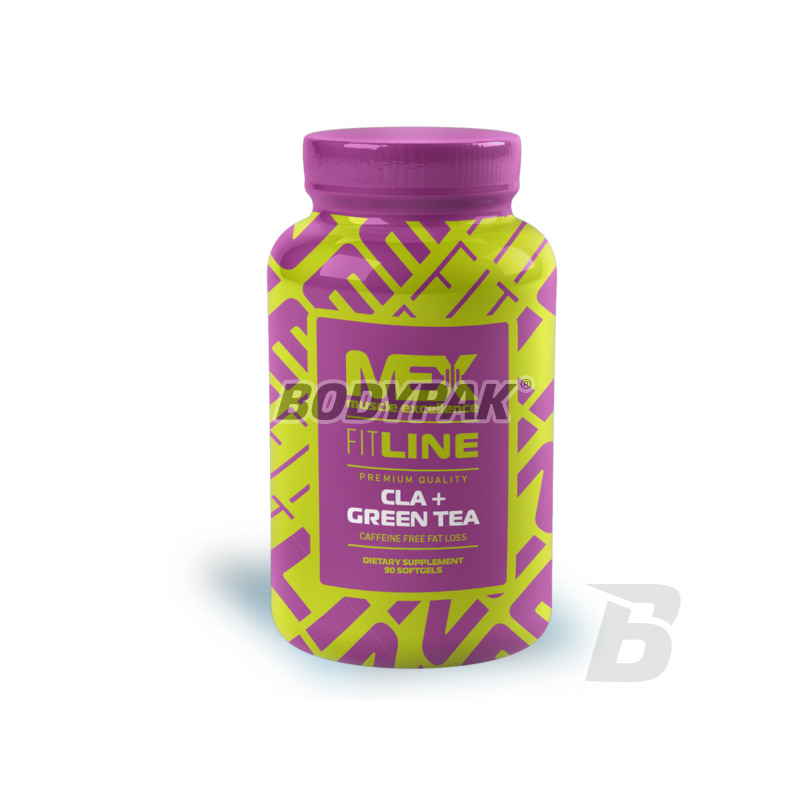 Fat LossMEX CLA + Green Tea [Fit Line] - 90 kaps. 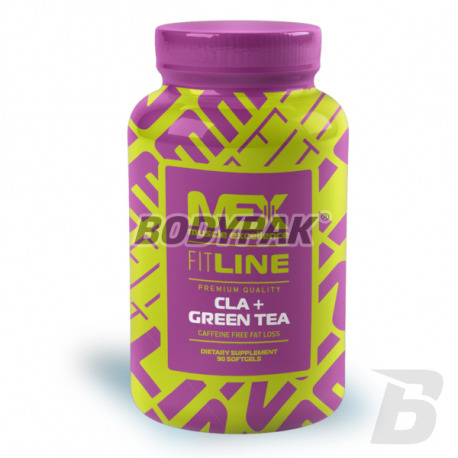 MEX CLA + Green Tea [Fit Line] - 90 kaps. Dietary supplement, the use of which supports weight loss process, allowing you to get and stay slim. The main components of the preparation is CLA (Conjugated Linoleic Acid), and green tea extract. AND ELIMINATES AVOID THE FORMATION OF TOR. "ORANGE PEEL"
MEX CLA & Green Tea is a dietary supplement, the use of which supports weight loss process, allowing you to get and stay slim. The main components of the preparation is CLA (Conjugated Linoleic Acid) and Green Tea, which have thermogenic effect (increasing body temperature) and lipotropic (dissolving fat molecules), which is beneficial for fat removal from the body. CLA - conjugated linoleic acid. Originally classified as a antnowotworowy, supporting the immune system to fight viruses and reduces allergic reactions. Later it was found that CLA has the ability to prevent lipogenezie (storage of fatty acids in the adipose tissue) promotes anabolic processes leading to muscle mass, increase lipolysis (breakdown of fat) and increases thermogenesis (amount of power discharged in the form of heat). All this leads to a degreasing and improve the overall firmness of the body. Green Tea Extract - eliminates free radicals, prevents cancer, contains a catecholamine EGCG, that inhibits the processes of deactivation and removal from the body adrenaline. Thanks to work synergistically with both natural adrenaline and compounds that mimic its effects. Stosuje od kilku tygodni i waga sukcesywnie leci w dół, obwody również, tłuszczu coraz mniej. Na chwile obecną jestem bardzo zadowolona!